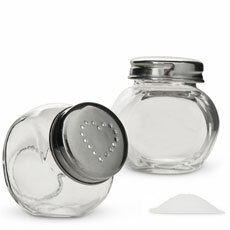 Few things in life fit together perfectly - so let your wedding favors reflect how utterly perfect you are for each other! 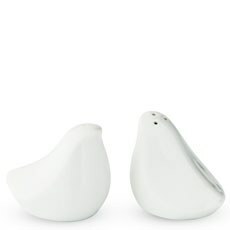 Everyone knows you go both go together like French fries and ketchup, milk and cookies, coffee and donuts and -well - like salt and pepper!Spice things up and add these adorable yet modern salt and pepper shakers to your tabletop decor and give your guests a fun, symbolic party favor. 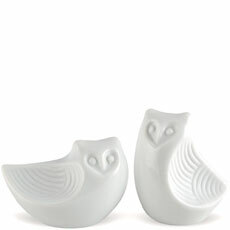 Your friends and family will love to take these trinkets home and use them again and again! 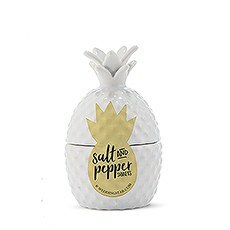 Give your guests this unexpected, original treat and ensure they don't go home empty handed!Your soiree will be spectacular when you spoil them with our fun-loving assortment of salt and pepper shakers, available in a variety of themes and finishes. 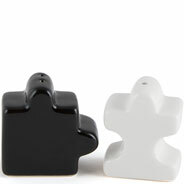 Choose the one that suits your theme!Are you as compatible as two puzzle pieces? 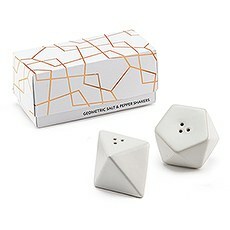 Our stunning black and white puzzle piece salt and pepper shakers come in their own pretty packaging. 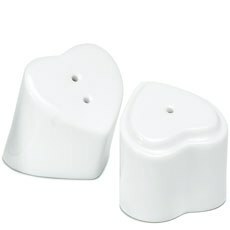 Add your own personalized message and give a special thanks to your friends and family for completing your special day!Your guests are guaranteed to feel the love when you choose our white interlocking heart salt and pepper shakers. 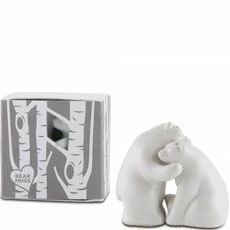 Give your guests each a symbolically sweet "bear hug" with our white polar bears that fit together in a delightful hug. 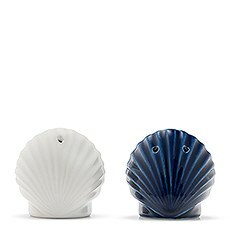 Or set a pair of splendidly special lovebirds with a message to "Love, rest, dream, nest" or place wide-eyed owls at each setting to give your guests a warm, fuzzy feeling.Your tropical, seaside or warm-weather celebration will benefit from our blue and white nautical seashell shaped salt and pepper shaker pair or our unique, gold foil and white stackable pineapple-shaped shakers! 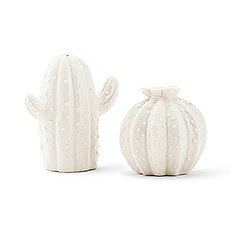 For a Southwest theme, choose the fun novelty cactus shakers!These high-quality porcelain shakers are an affordable addition to your decor and will provide practical party favors that will delight your guests! Put a unique spin on how perfect you are for each other by choosing these fun and creative party favors from The Knot Shop!